A group of more than 150 CEOs from some of the world’s leading companies have signed on to the CEO Action for Diversity & Inclusion™, the largest CEO-driven business commitment to advance diversity and inclusion in the workplace. By signing on to this commitment, CEOs are pledging to take action to cultivate a workplace where diverse perspectives and experiences are welcomed and respected, where employees feel encouraged to discuss diversity and inclusion, and where best known—and unsuccessful—actions can be shared across organizations via a unified hub, CEOAction.com, in an effort to advance diversity and inclusion in the workplace. A growing body of research reveals that stronger business outcomes directly correlate with diverse teams and inclusive workplace environments. In a 2016 report, researchers from seven universities concluded that while diversity increases innovation, promotes higher quality decisions, and enhances economic growth, the benefits of diversity are often not fully realized. This research is further supported by a new report from the Center for Talent Innovation, a nonprofit think tank, which found that when employees can discuss the topic of race relations at work, they feel significantly more included and that their ideas are heard and recognized. Unfortunately, the report also found that approximately 70 percent of employees surveyed aren’t currently comfortable discussing race relations at work. Understanding this dynamic, and other dynamics related to diversity and inclusion, is why the signatories of the CEO Action for Diversity & Inclusion™ have committed to take action, and in turn, improve corporate performance, drive growth, and enhance employee engagement. New York Life CEO and Chairman Ted Mathas: “Fostering a work environment that supports diversity and inclusion is a responsibility every business leader shares. But embracing different perspectives and opening ourselves to new ways of seeing the world is a responsibility we all share. The CEO Action for Diversity & Inclusion™ provides an opportunity to learn from each other, engage more people, and strengthen our society as a whole"
For a list of the signatories that have signed on to the CEO Action for Diversity & Inclusion™, visit CEOAction.com. 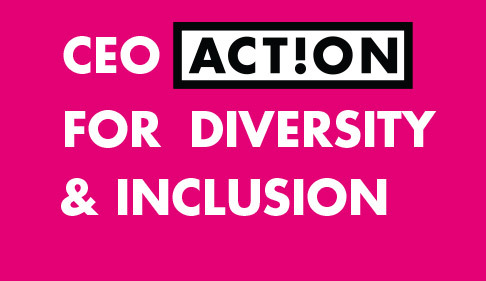 For more information on the CEO Action for Diversity & Inclusion™ or to get involved, please visit CEOAction.com. As America’s Un-carrier, T-Mobile US, Inc. (NASDAQ: TMUS) is redefining the way consumers and businesses buy wireless services through leading product and service innovation. Our advanced nationwide 4G LTE network delivers outstanding wireless experiences to 72.6 million customers who are unwilling to compromise on quality and value. Based in Bellevue, Washington, T-Mobile US provides services through its subsidiaries and operates its flagship brands, T-Mobile and MetroPCS. For more information, please visit http://www.t-mobile.com.